The return to form has been made by the great director Ridley Scott. That’s not to say the long time director has made bad films, just not superb or nearly on the same level of some of his earlier work. But The Martian changes all of that. Returning to space once again, Scott crafts an elegant and beautiful film with all of suspense you’d expect, along with some surprising comedy. Mark Watney (Matt Damon) is one of six astronauts on the Ares III mission to mars. Their routine mission is cut short when a treacherous storm forces them to abort. Flying debris hits Watney and he is presumed dead, but of course he survived by the slightest luck. With very little supplies, the astronaut must use hit wit and will to survive the unfriendly rock. The film has such an expansive cast it’s nearly impossible to talk about each and every performance, so I must refer to only the standouts. 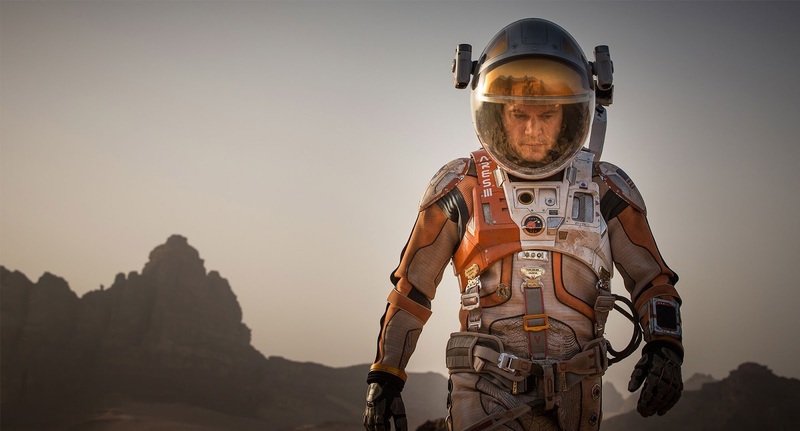 Of course Matt Damon is great as Watney. He plays the overpowering optimist really well and delivers each line, whether dramatic or hilarious, in such a great way. The rest of the crew are each solid in their own right for the screen time they get, particularly Jessica Chastain and Michael Peña as Melissa Lewis and Rick Martinez respectively. As far as the Earth cast is concerned, Chiwetel Ejiofor has the most presence on screen and is really captivating as Venkat Kapoor. Jeff Daniels and Sean Bean, as Teddy Sanders and Mitch Henderson, have a certain friction without ever getting heated, but their acting towards one another is enough to show their feelings towards the other. And despite having a relatively small role, Donald Glover, as Rich Purnell, comes in and absolutely steals the comedy spotlight with his overall goofy demeanor. The direction by Ridley Scott could not receive enough praise. As someone who had read the book and knew what events were going to transpire, I still found myself on the edge of my seat at parts, just waiting to see what would happen. This is completely a credit to Scott’s directing. His ability to build the tension when needed is a spectacular skill that can be traced back to his days on Alien. Beyond that, Scott gets the very best out of his leading man while also putting his best work out as well. 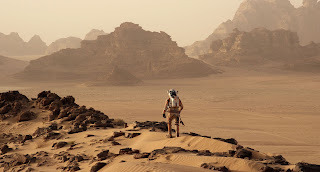 Visually the film is stunning, and despite being in an environment the whole audience knows isn’t real, the surface of Mars feels tangible and living in a way. The open terrain and towering rocks are gorgeous and certainly the SFX team must be commended. There is very little wrong with the film in general besides little nitpicks here or there and those mainly come from things from the book. If I try my best to ignore those, my only real (not really) disappointment with The Martian was the lack of a Lord of the Rings wink when you have a member of the fellowship (Sean Bean) in the room with you. Seriously, “One does not simply save a man from Mars”, how hard would that have been? 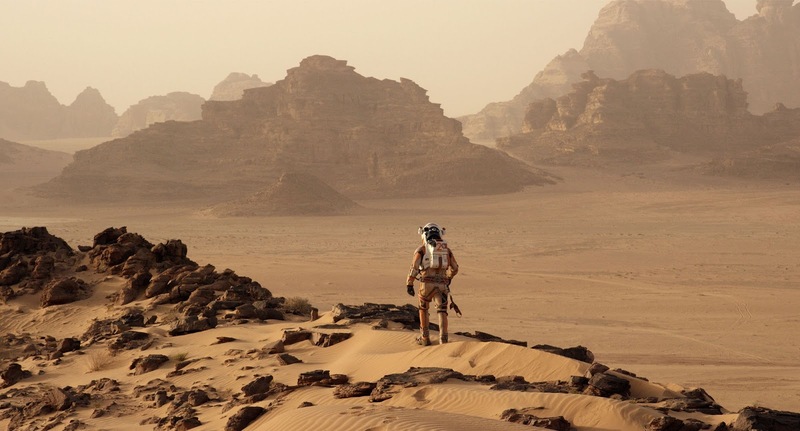 So what did you think of The Martian? Have you seen it, do you want to see it, or is it a little too out of this world? (Sorry that was bad.) Comment below and let me know and as always come back to I Am Sam for weekly reviews and insight.